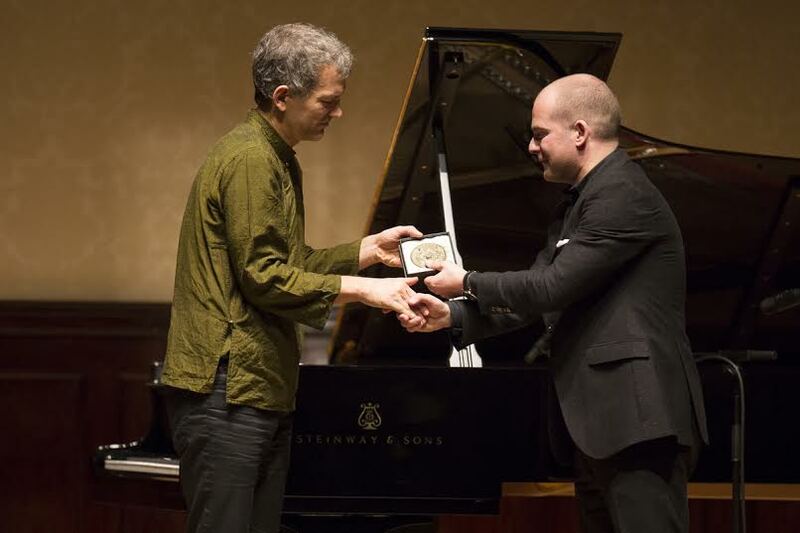 At Wigmore Hall on Friday 18th December 2015, John Gilhooly, Director of the Hall, awarded the Wigmore Medal to Brad Mehldau. This award was inaugurated in 2007, and recognises significant figures in the international music world who have a strong association with the Hall. Previous recipients include Matthias Goerne (2007), András Schiff (2009), Dame Felicity Lott (2010), Thomas Quasthoff (2011) and Menahem Pressler (2012), Graham Johnson (2013) and the Takács Quartet (2014). Gilhooly also said "In a troubled world. we honour those who make us smile, and feel happy." Following the presentation, Mehldau took two encores, Paul McCartney's And I Love Her, (curiously pre-figured in this review - he hadn't played it the previous night) and Greensleeves. Earlier in his rapturously received solo set, he played a mixture of old and new standards including When I Fall In Love, Brian Wilson's 'Til I Die, Fool On The Hill and one original.